For 15 years I’ve been teaching engineering, editorial and marketing staffs at startups (consulting) and large companies (both in-house and as consultant) how to optimize for search engines. These events are usually 2 hour meetings over a couple of days in large conference rooms. I’ve always encouraged team members to ask questions when something doesn’t make sense. I’ve found that most in attendance are quite often very engaged and interested in what it takes to rank well for important search terms. I‘ve also written dozens of SEO How-To articles during this time to help those who have the ability to absorb everything and do their part to begin making improvements. These articles have usually focused on important smaller pieces of the SEO puzzle. Recently I’ve found myself spelling out the intricacies of XML sitemaps or robots.txt files for those seeking more detail on these small, but important details of SEO. But I’m realizing that those detailed bits and pieces are missing a thread to tie them together and I’d like to offer a broader overview with links to those details. Here’s a recap of articles covering core SEO elements which are critical to nearly every web site for effective search engine visibility. The thread that connects them is the fact that they must all be present and each are critical to every web business. Each can be reviewed for what might be currently missing in differing scenarios and prioritized based on company KPIs that may need adjustment. We’ll begin with a couple of core elements of site structure, move to content optimization, then look behind the scenes markup. Finally, it all comes together only when every SEO piece is in place – there’s no skipping out on the hard parts. We review basics of what XML sitemaps are, what’s in them and how to make certain that search engines find them on your site. 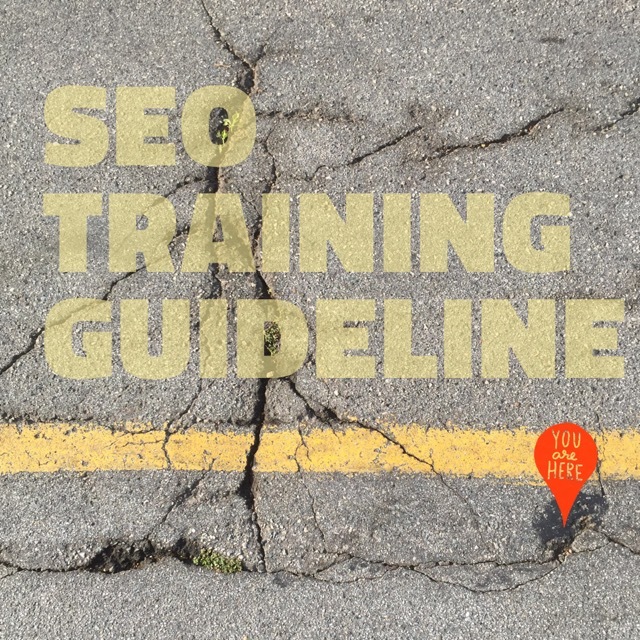 We’ll discuss different types of sitemaps, from video to news content to images. How to structure XML sitemaps for large sites, and monitor the health of your sitemap in Google Search Console. Did you know you can alert the search engines to your XML sitemap with a single line of text? As a bonus, there’s a review of WordPress plug-ins that make XML Sitemaps work well for any site using that platform. When presenting to engineering teams, we do a deep dive into how it XML sitemaps must work to instantly list all pages on the site, including newly added pages. Detailed specifications on XML sitemaps are available from Google and elsewhere on code and protocol. First, remember that an HTML sitemap is for spiders, not human visitors. Shows site structure to bots by showing all pages within a hierarchy. Giving your HTML sitemap higher visibility is accomplished by linking site-wide from the footer link labeled “Index”. That HTML sitemap page then helps distribute site-level authority to internal pages. They are also the solution for orphaned pages, one-off pages that aren’t included in the site navigation or not listed among top-level category pages, in the footer links, what’s new links or within body text or somehow fail to get links anywhere else for that matter. You’ve got to start seeing by now that there are at least a half-dozen reasons to do this, right? Honestly, it’s worth the extra effort – because your competitors may not have taken this important step for rapid and complete content indexing. We often believe that every single page of our site should be indexed without giving our site a search friendly architecture. Internal links to every single newly added page should be available to search engine crawlers via HTML sitemaps, new product pages, “related article” links, and above all – must represent relevancy. So everyone understands, without links from relevant pages to similar content across the site, there is a far lower chance that search engines understand context or content connections when you haven’t provided them. There are both automated ways and curated, manual methods to link together pages to get them crawled quickly and to make site structure and categorization clearly delineated for search visibility. Internal links from related pages are primary tools for relevancy and rapid indexing by search engines. When presenting to engineering teams, we do a deep dive into automation of links and related content, when presenting to editorial or content teams, we emphasize importance of manually linking text content. Most importantly, we cover how your site must communicate in an authoritative way with extensive detail about every product or service offered. There’s an anti-text bias within many design departments which tends toward severely limiting textual detail because it is so visually uninteresting and gray when seen in large blocks. So we discuss how to either fill the page with creative imagery to break up the gray text or fold it up accordion style to appeal to those willing to click “read more” links to expand it. Text is required for search engines to comprehend what the site is about. So we review how every product and every service must be communicated via text and referenced from other text pages and categorized within a topic structure and linked with breadcrumbs to a hierarchy. When presenting to editorial teams, we do a deep dive into how content optimization works. Most people in these trainings believe that behind the scenes is where all SEO happens – they have heard that meta keyword tags are magical tools to rank above the fold for any business. Let’s be clear, meta keyword tags are useless and are ignored by search engines entirely – and have been pointless for years. There is however, behind the scenes code – markup that does carry meta data intended for search engines which is important. This code is defined by Schema.org, a joint project supported by most search engines, which helps define structure, clarify site functionality and enhance search engine display to include a long list of elements which only happen when schema markup is applied. (Rating Stars, Image or video Thumbnails, recipe ingredients, prices, etc.) Still, a web site must have ALL elements listed above (and more) fully and effectively implemented before this meta data can help at all. When presenting to engineering teams, we do a deep dive into what this code does and how it works. Fully detailed protocol available at Schema.org Here is an outline Google offers Google Search Gallery which outlines many types of “structured data” (Google prefers that name to Schema). What most companies discover about their SEO efforts is that there is very often some SEO element that has been emphasized in the building of their online presence in the belief that a single piece was most important or was the only thing that mattered. The difficult thing for most teams to understand is that an SEO friendly site does everything well, it’s not enough making just a single SEO element the centerpiece. SEO friendly architecture site-wide supports strong content, then use of behind-the-scenes code and markup supports a well-rounded, relevance focused SEO strategy. Of those many hundreds of signals that Google looks for, you must do your best to incorporate them all – not just those that are easy, or automated, or cheap to implement. Quality content that attracts interested visitors and encourages them to share on social media and provides tools (and assets) to encourage inbound links – will rank better. When that great content is supported by strong technical SEO details – you win.